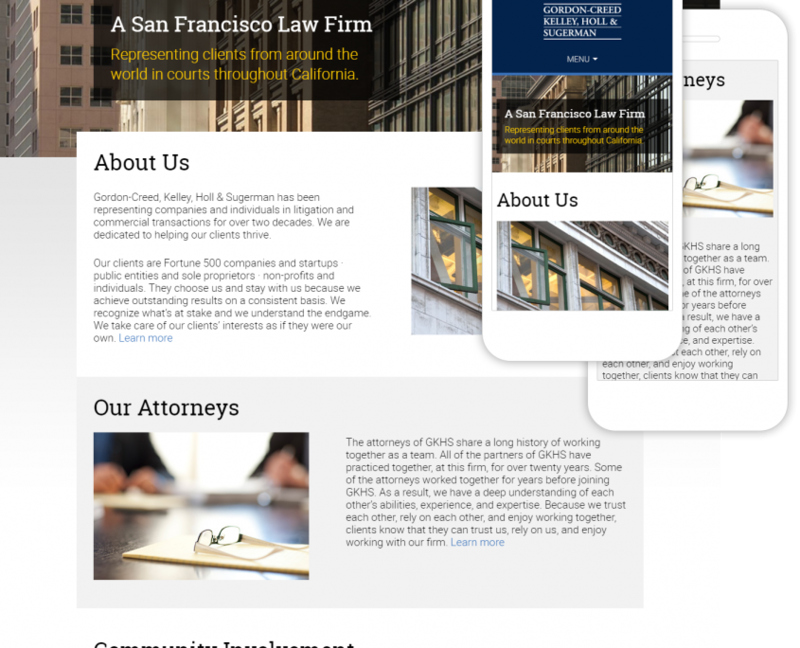 GKHS | Gordon-Creed, Kelley, Holl & Sugerman – David Safanda Design Solutions Inc.
GKHS is a San Francisco based law firm that has been representing companies and individuals in litigation and commercial transactions for over two decades. We built an engaging responsive website that allows visitors to quickly learn more about the firm. 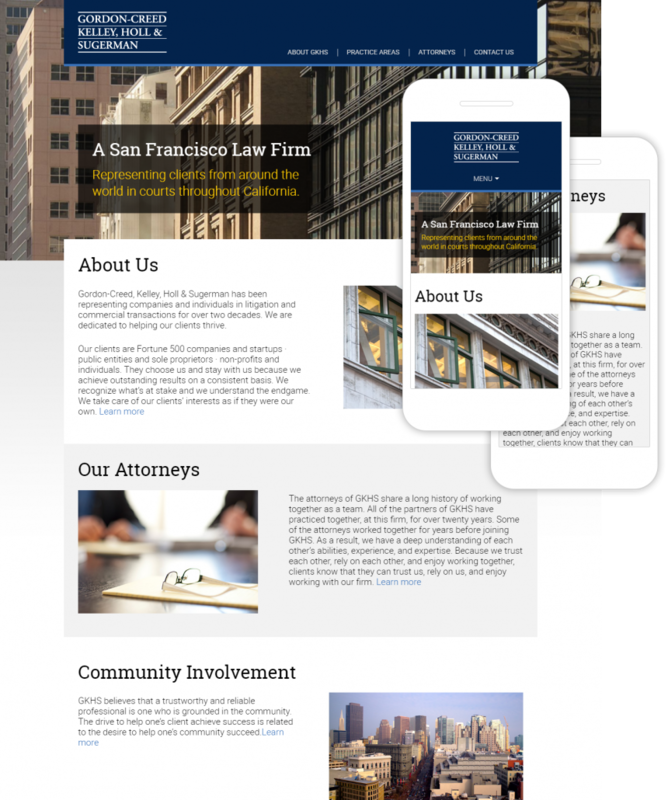 GKHS is a San Francisco based law firm that has been representing companies and individuals in litigation and commercial transactions for over two decades. 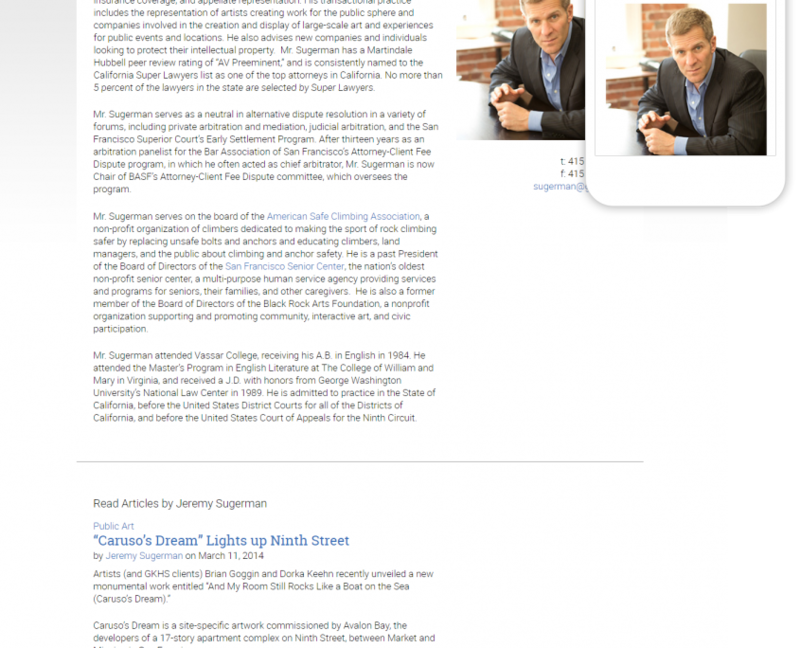 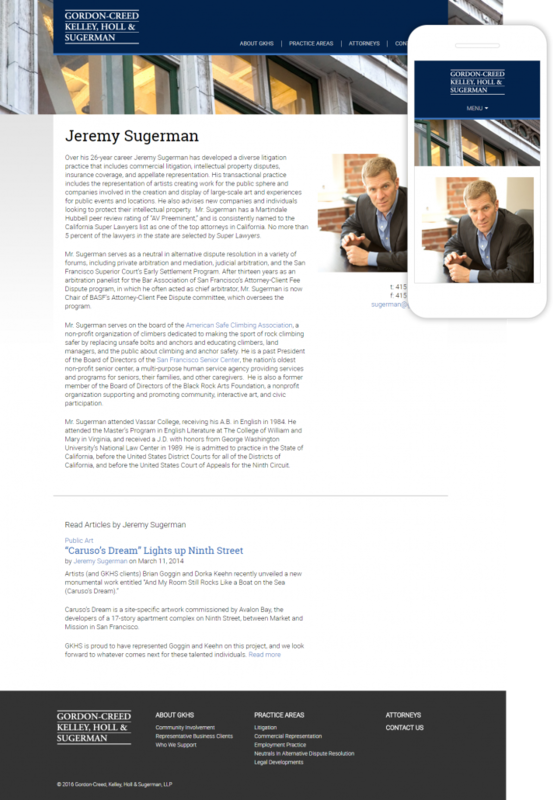 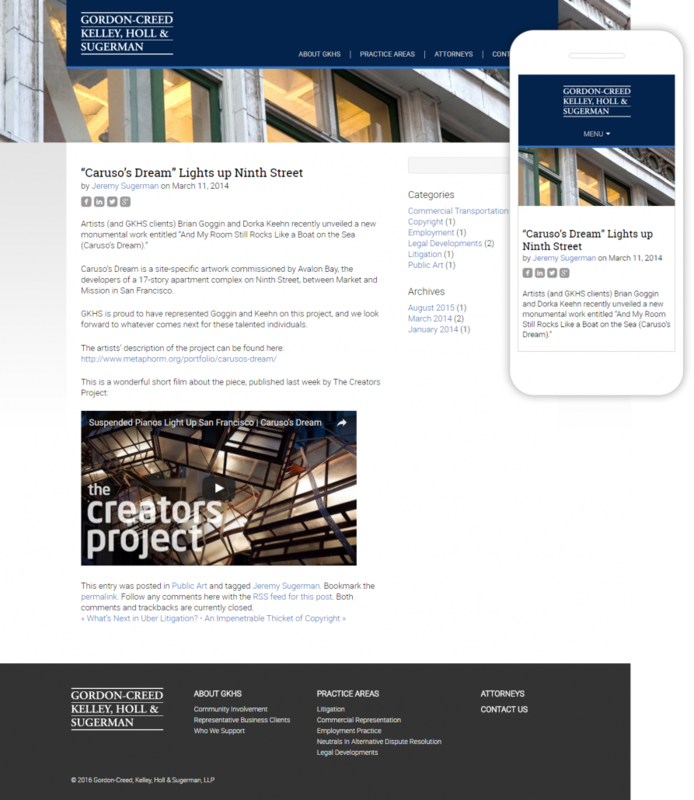 This project required updating a site I had built a few years ago with a new responsive design. 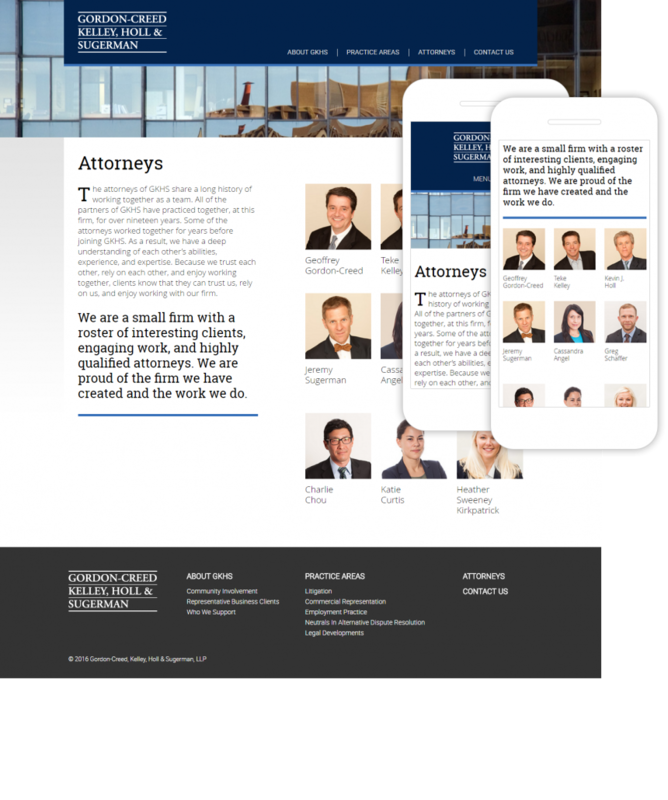 The first step in this project involved developing an updated visual design that would adapt to both desktop and mobile proportions. 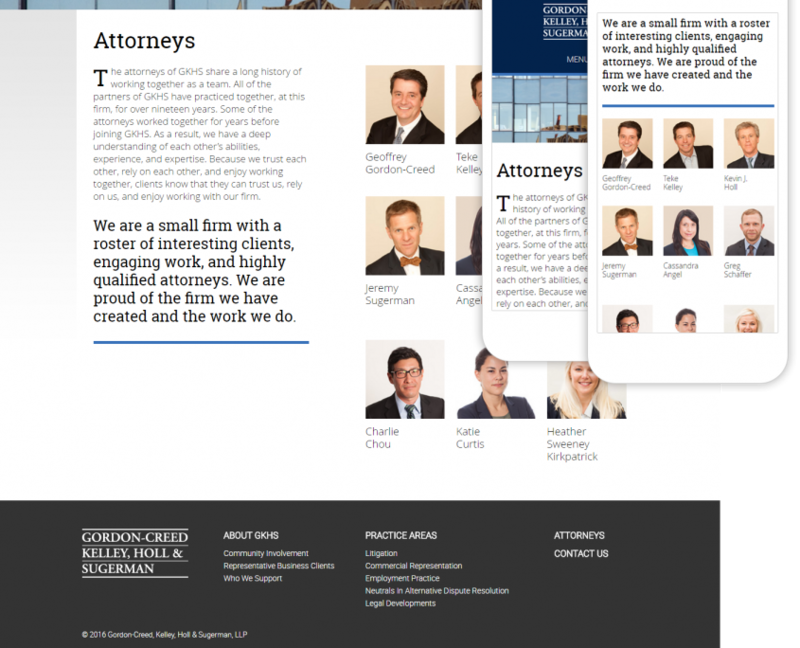 New responsive HTML/CSS was then produced based on underlying 12 column grid that allows design to adjust efficiently to a variety of screen sizes. 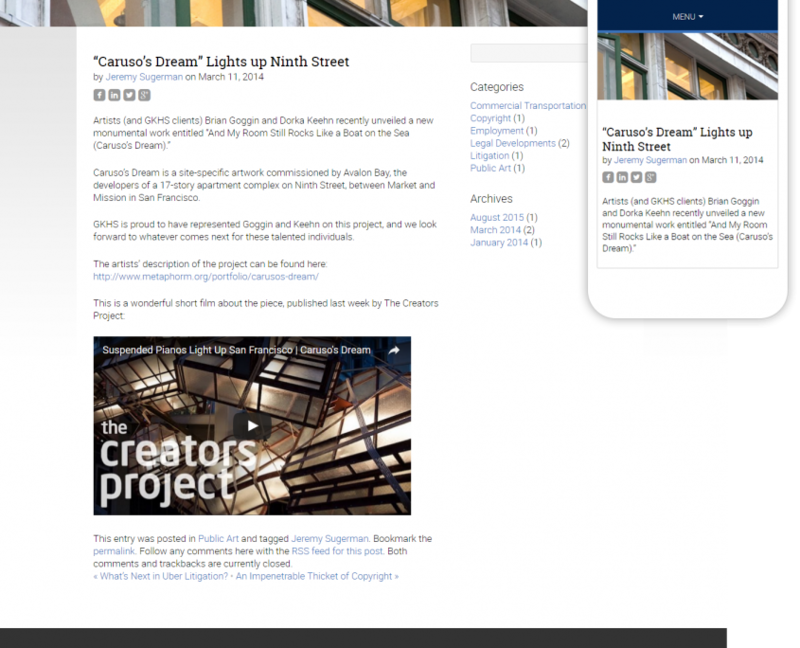 WordPress was integrated as a content management system that allows easy content changes and blog entries.